Below you will find the technical specifications, features, and benefits for the Aluminum Angle Spill Containment Berm. The aluminum angle berm features a rigid wall structure, high resistance liner material, and multiple fitting options to accommodate various storage requirements. 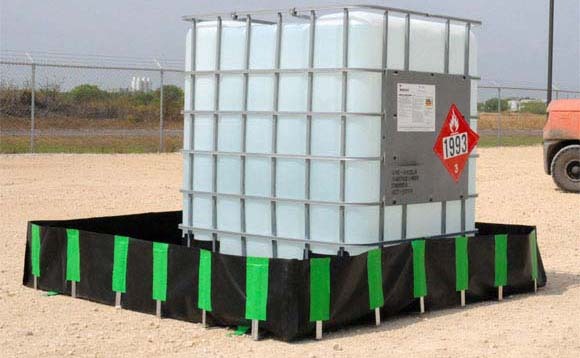 Berms can be built to meet short term containment requirements under leaking tanks or machinery, as well as long-term containment under storage vessels. Aluminum angle berms are constructed using several high strength materials that allow the berm to retain its performance and flexibility over various periods of time.